On March 8, 2014, we commemorated International Women’s Day. 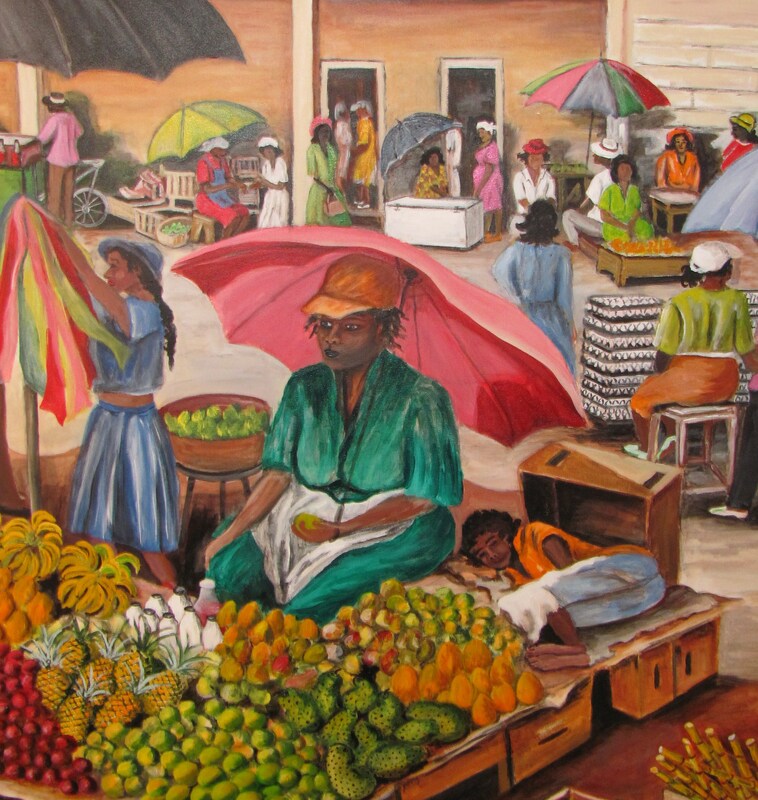 In my Poetry Corner this month, as a tribute to working mothers, I feature the poem “Wobbly Baskets” by Trinidad-born poet Cheryl Boyce-Taylor. Leaving her family behind, she left Trinidad at thirteen years old to live with her mother’s sister in Queens, New York. Eleven months later, her mother and brother joined her. “Wobbly Baskets” captures well the plight of far too many working class women in Guyana and the Caribbean. She describes women who sell all kinds of food in the marketplace, straighten hair, wash clothes, and sew. Some go overseas to work and provide a better life for the children they leave behind. Focusing all of their energies on providing for their family, they give no thought to realizing their own dreams. My mother was such a woman. She worked at home as a seamstress. Sometimes toiling day and night, with little or no sleep, she raised the school fees needed to send me and my four siblings to high school. Those were the days before the Guyana government had made education free from nursery to university. [A] lot of my work has a big migration theme in it, because that was a time when I felt most fractured. Because migration is fracturing, and so I guess up until my last book, I was still working on that fracturing. Read “Wobbly Baskets” and learn more about Cheryl Boyce-Taylor’s work at my Poetry Corner March 2014. Cyril, thanks for sharing my blog post with your readers on Guyanese Online. Much appreciated. Both your Haiku poem and “Wobbly Baskets” made me think of Tim O’Brien’s book “The Things They Carried” about the horror that was the Vietnam War. Not similar in many ways, but very similar about the psychological cost of things — the things we carry inside ourselves. Thanks for your comment, Dr. Stein. Working mothers of little financial means do indeed carry many things inside ourselves. The pain of our struggles and sacrifices make us stronger but remain with us. Followed the link to poetry corner – a moving poem… also great to learn more about your journey in L.A. & writing. Bruce, so glad that you were moved by Cheryl Boyce-Taylor’s poem. Thanks for reading my journey as a writer. Naysayers abound in life. We can’t allow them to crush our dreams. Very good choice, Rose – Boyce-Taylor is a talented political poet which we are in such desperate need of. The music too – strong and powerfully performed. Thanks, Angela. Coming from a poet of your standing, your comments are much appreciated.